Weststreet Liquor Company has been serving Aruba for more than three decades. We understand the importance of creating quality liquor and providing expert service, and that’s exactly what we’ve done. Weststreet liquor is produced and bottled directly in Aruba, and we do our best to capture a bit of the island’s warmth in every bottle. Today, we’re proud to work with local artists and respected establishments in the community alike to help create the kind of successful future we’d like to see on the island. 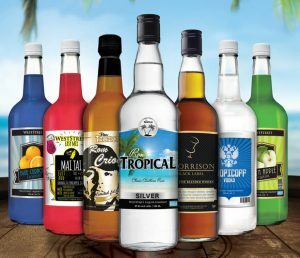 Weststreet Liquor Company is proud to announce that we provide our locally produced liquor to Hilton Aruba Caribbean Resort & Casino. Hilton is a respected name in the hospitality and entertainment industry, and their resort on the island is a testament to the brand’s attention to detail. They strive to offer the very best to their clients, and that includes the rich and flavorful offerings from Weststreet Liquor Company. We’ve worked hard to produce the kind of quality liquor that such a prestigious brand would feel comfortable distributing. In addition to working with respected businesses in Aruba, we also collaborate with local artists. Jeon Arvani is a talented Aruban singer who has released a variety of incredible music. “Aruba”, featuring RitmoReal, is a particularly celebratory track and praises the island and all it stands for. His latest release, “Machika” is a fast-paced track that is sure to capture your attention and make you get up and dance. In addition to supporting local artists, Weststreet liquor is created in Aruba. We love everything about the island and that includes the materials and resources it provides. Our liquor is made with local ingredients and is bottled locally, too. It is 100% an Aruban product from start to finish, in other words, and we’re incredibly proud of that fact. For the best in Aruban liquor, take a look at Weststreet Liquor Company – we have the high-quality liquor you’re looking for.